The holidays are upon us, a time for family, friends and cheer! But, if you’re hosting you know preparation, cleaning and hosting can be stressful. A beautifully crafted kitchen alleviates that headache and brings back the cheer of having guests. A kitchen focused around entertaining and hosting has been the latest trend, a large open kitchen designed around cooking and hosting is a work of art and utility. Some must haves are ample counter space for preparation and display, ample cabinetry to store all the tools of the trade and keep a clean beautiful look, plenty of room for a comfortable free flow of guest and host and upgraded features and appliances to add to the ease of use and style. Look at some of our past projects as we explain what and why we did what we did. So, you can achieve the perfect holiday kitchen. 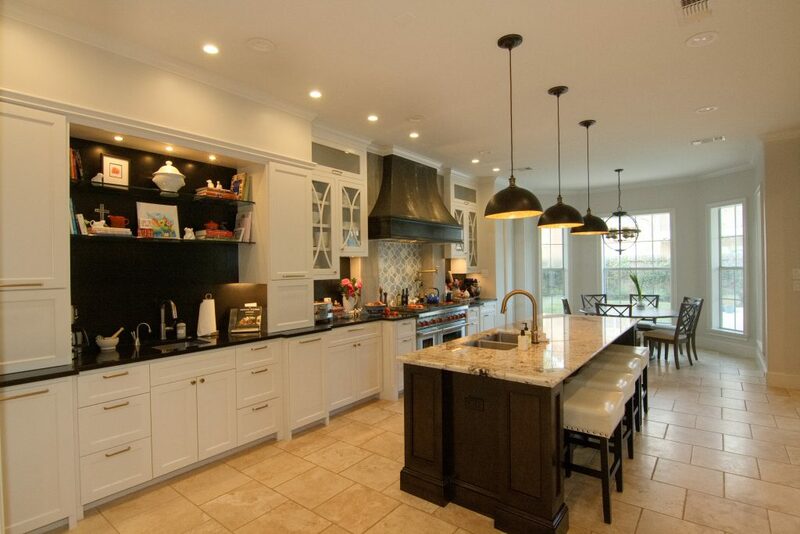 This kitchen remodel, in Bellaire Tx, involved enlarging the openings on both sides to provide comfortable flow and access for the family and guest around the kitchen and we removed the walls at the bar / butler’s area for more comfortable entertaining. 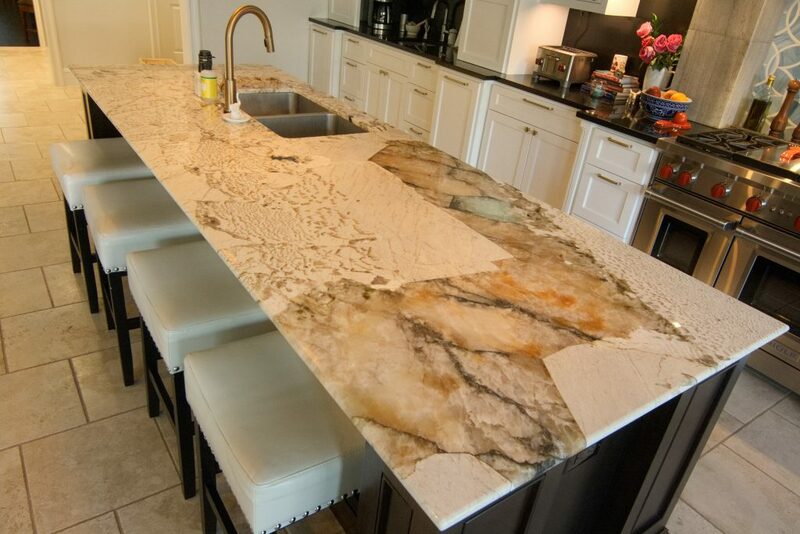 The new island is the center of the kitchen with its carefully crafted granite top and furniture grade cabinetry that seats four and has plenty of room for a buffet style spread with a new touch faucet that allows even easier clean up. 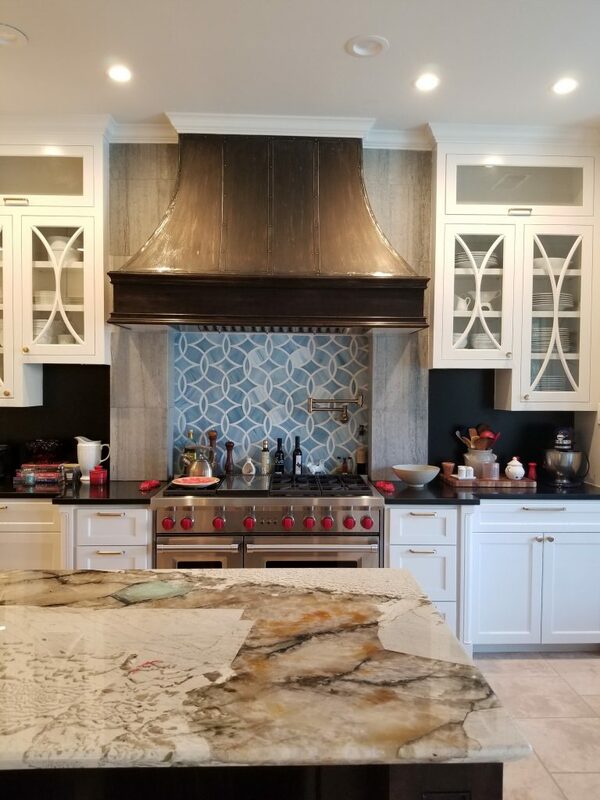 This kitchen is open, large, and great for hosting, but we didn’t stop there; the 48” professional Wolf range is a focal point of the kitchen, with stone columns and a recessed mosaic glass inset complete with a pot filler are tied together with a one of a kind handmade metal hood. For function and finer design, we built in a Sub-Zero refrigerator that is hidden behind cabinet doors and we recessed the Wolf oven and microwave into the cabinetry for well thought out details of design. Because the family regularly host large gatherings, we designed a separate prep area that has space to hide those bulky countertop appliances and keeps the mess off the beautify island. Our interior designer helped with conveying this couples’ different styles together with her selections and use of mixed metals throughout. With its beautiful cabinetry, well thought out design details, cooking in this kitchen is going to be especially joyful for showing of with large parties! 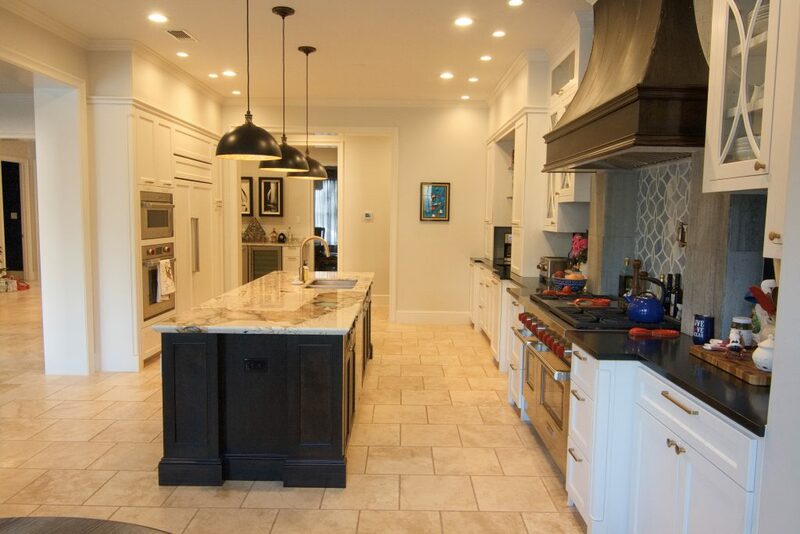 As a design build firm, we carefully confer with the clients beforehand to discuss all their wants and needs to thoughtfully design their perfect kitchen, reflecting their style. Along the way, we are mindful of the budget and time schedule before any boots were on the ground to save the client money and time of being disrupted. If your home is tight, cramped, and outdated, and this holiday season is bringing more stress than cheer, give Gryphon Builders a chance to design and build your perfect home. Schedule a simple and easy no obligation design consultation to see what we can do for you. Leave a comment bellow, let us know what you thought of the article and what you want to see from us in the future.